Remember when I late ate Champetre? Maybe not. But this is a French restaurant and a place where I was able to try some food for the very first time in my life (thanks bea!). 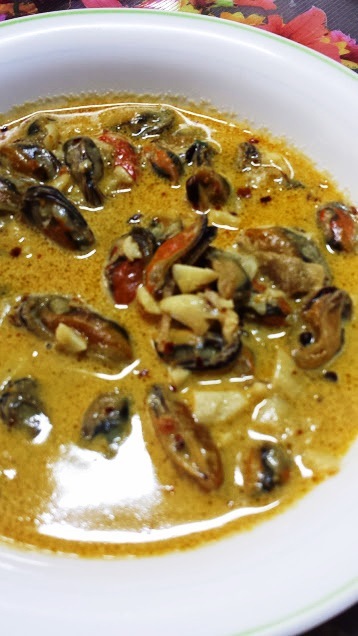 But one of the simplest but doable for me was the clams/mussels in the seafood cream sauce. 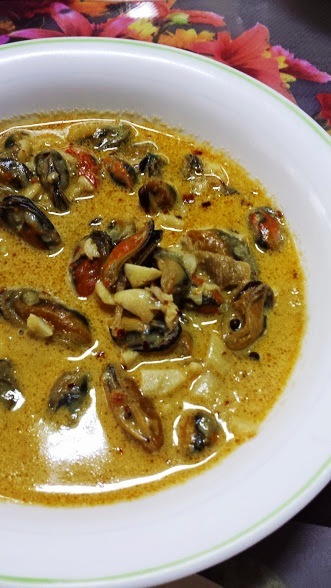 I was experimenting with some mussels and just wanted to cook it in a spicy garlic sauce when I decided to add some cream. Just because you know, it looks promising. And though it turned out spicier than I was expecting it to, it came out really simple and clean tasting. Though I am sure mom and other people would have preferred the dish without the cream, I find it yummy. Can you substitute the cream sauce with coconut milk? My mother makes a similar recipe with shrimp. Getting hungry just looking at it!